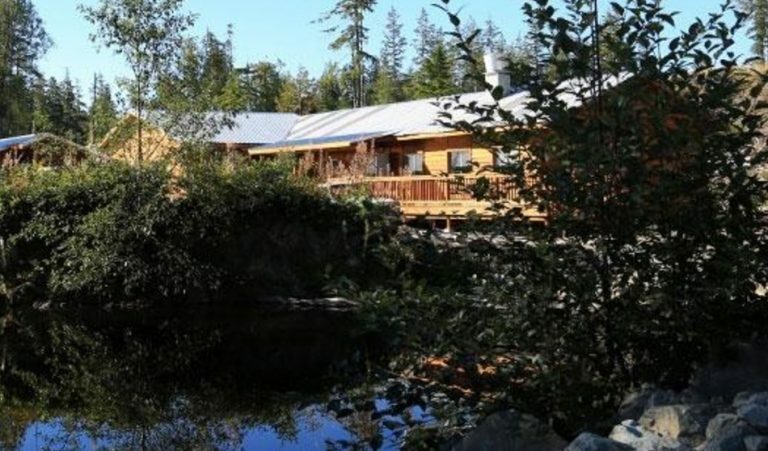 Aauuknuk Lodge is located in Ahousaht B.C, on Flores Island 20.9 km North of Tofino. Ahousaht means, ‘People of Ahous’, and is only accessable by float plane or speed boat. The Nation’s territory encompasses a majority of Clayoqout Sound. We are just a two hour scenic drive from Port Alberni along Hwy 4 to Tofino, and a 30 minute water taxi boat ride ($20 adult/$10 student/child) to the village of Ahousaht. On your arrival to Tofino parking is available at Tofino Municipal hall, right across the RCMP (police) station. If not available they will instruct you designated parking spaces. Water taxi rides can be arranged from any of the boats listed below, there are scheduled runs at 10:30 AM & 4 PM with G.I Charles water taxi. However, there are always boats at the dock (1st Street Dock), and boat skippers are always willing to assist with timing & costs. Will drop do off to Cowbay depending on weather and tide to hike back to villiage of Ahousaht. Many other charter boats are available. If you need assistance you can phone our office @ (250) 670-9679.